Lent (Latin: Quadragesima - English: Fortieth) is a solemn religious observance in the liturgical calendar of many Christian denominations that begins on Ash Wednesday and covers a period of approximately six weeks before Easter Day. Rev. Lawrence E. Mick:Lent comes to an end before the evening Mass of the Lord's Supper on Holy Thursday. That liturgy begins the Triduum, the great Three Days that celebrate the central mystery of our faith. Triduum rituals invite us all to baptismal renewal, par excellence. For Christians, Lent is traditionally the forty-day period that starts with Ash Wednesday and ends on Holy Saturday, the day before Easter Sunday.It is a time for fasting and penance, and one is required to eat sparingly during the entire period, except for Sundays. In 1996, however, Pope Paul VI relaxed these rules, after which fasting and abstinence were only obligatory on Ash Wednesday and Good Friday. The observance of fasting and self-denial during Lent differs in the Protestant and Anglican churches, whose emphasis primarily on penitence. At Dijon, Burgundy, it is the custom on the first Sunday in Lent to make large fires in the streets whence it is called Firebrand Sunday. This practice originated in the processions formerly made on that day by the peasants with lighted torches of straw, to drive away, as they called it, the bad air from the earth. can do what others claim cannot be done. Amen. 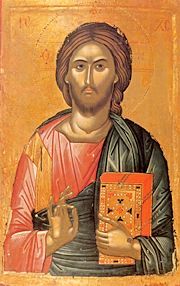 The season of Lent has a twofold character: primarily by recalling or preparing for Baptism and by penance, it disposes the faithful, who more diligently hear the word of God and devote themselves to prayer, to celebrate the paschal mystery. This twofold character is to be brought into greater prominence....Hence, more use is to be made of the baptismal features proper to the Lenten liturgy....The same is to apply to the penitential elements. It is important to impress on the minds of the faithful not only the social consequences of sin but also that essence of the virtue of penance which leads to the detestation of sin as an offense against God. And eventually, the choosing becomes easier, the darkness lifts, and walking in Jesus' way is not quite such a struggle for a while. But the darkness will always return, often unexpectedly. That is why I need Lent, because it bears witness to the reality of darkness, of doubt, of fear, of pain. And it carries me through those real places, real experiences into one that is more fully and truly Real: the Reality of Resurrection, of Light, of Life. 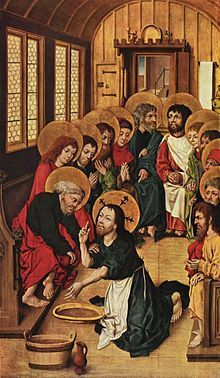 In the primitive Church Holy Saturday was known as Great, or Grand Saturday, Holy Saturday, the Angelic … It is no longer, like Maundy Thursday, a day of joy, but one of joy and sadness intermingled; it is the close of the season of Lent and penance, and the beginning of paschal time. When you get a hankering to talk or complain about what you gave up for Lent, replace that hankering by speaking the word of God. For all the times you would have done the activity that you gave up for Lent, replace it by reading the word of God. Christians should always be drawing closer to God. So during this season don't be so impressed with what you have done for God, rather take this time to reflect on the only sacrifice that really matters - the one made by Jesus on the cross. Use this Lent season differently than you have in the past, make it a time to learn how you can better serve God with your life. Be careful not to do your 'acts of righteousness' before men, to be seen by them. If you do, you will have no reward from your Father in heaven. And why should there be a reward from God when the reward received was attention from man? What we do when giving up anything for Lent is unto God. Matthew 6:1 (NIV), in "Remembering the real sacrifice for Lent (4 March 2009)"
Matthew 6:16-18, in "Remembering the real sacrifice for Lent (4 March 2009)"
Lent, then, is radically baptismal...some of the familiar customs of Lent...bring forth the baptismal theme. Lent comes to an end before the evening Mass of the Lord's Supper on Holy Thursday. That liturgy begins the Triduum, the great Three Days that celebrate the central mystery of our faith. Triduum rituals invite us all to baptismal renewal, par excellence. The word alleluia expresses great joy. We usually sing. During Lent we do not say or sing alleluia. This is because Lent is a quiet season when we focus on turning away from sin and remembering how Jesus suffered to save us. At the Easter Vigil, when we celebrate Jesus rising, we burst forth with alleluia's again. St. Augustine said that a Christian should be a alleluia from head to toe. One of the tree pillars of Lent (and Christian life) is alms giving, or giving to the poor. We are to share the good things of earth. By helping those who don’t have as much as we do, we practice justice and love. During Lent whenever you give money, food, clothing, or a toy to the poor draw a coin in the Poor Box. Ash Wednesday marks the beginning of Lent. On this day many Catholics go to Church. They have cross of ashes traced on their foreheads. This is a sign that they will try to be better followers of Jesus. The cross means we belong to Jesus. The ashes is from last year’s blessed palms. Some people keep the ashes on all day. Since the early days of the Church people who decide to become Christian are baptized on the night before Easter. They spend weeks preparing for this day. In Lent we unite with these people. We recall our baptism and the vows (promises) we made to reject Satan and sin. We remember how through the waters of baptism we were united with Jesus’s death and resurrection and were saved. Lent is a time to renew our baptismal vows and try to live our faith more strongly. It is a time to ask How am I living as God’s child? Lent is a time to listen God’s word in Bible, also called sacred scripture. We read the Bible at home. We listen carefully when it is proclaimed during Mass. During Lent try to live your new life of love. During Lent we try to change our lives to the better. If we are heading down the path of sin, we turn around and go back to God. We try to practice virtues. Is there a crucifix in your home? In your room? If not display one, especially during Lent. Wear a cross to remind yourself and others of God’s love. Under the Eastern Orthodox altar on Calvary (Golgotha) (located at the main entrance in the Church of the Holy Sepulchre, Jerusalem) there is the place where it is believed Jesus died on the cross. Lord God, as we begin this season of Lent, give us the wisdom to understand what you ask of us and the courage to do your will joyfully. You have called each of us into a love relationship with you and have concern for others. Send your Spirit into our hearts that we will do the right thing in the right way. May we, throughout these forty days, become more and more like you. Lent is a season when we have opportunity to step back and look at our past choices and what we are presently choosing. In the end choices are quite limited: Life or death, God’s will or our own. God of life, strengthen our will to choose life. too often we have failed to be life-givers. Whether through negligence or laziness, we have not expended the energy you have given us to further your kingdom of life, love and light. May this Lenten season be filled with your grace; may we do whatever is pleasing to you. Lord Jesus, you invite us during this Lenten season to journey with you and share more deeply in your life. You call us to a type of fasting that gives life to us and to others. Help us to discern your call so that we and others may come to fullness of life. Come, Jesus, come. During this season of Lent, we pray that we might experience more deeply God’s mercy, goodness, and love. Despite our weaknesses and sins, we are invited to put the “if” questions in the lap of God and let him fill us with the assurance, the blessed assurance, of divine grace. Lent is as serious season since it involves reformation, transformation, and on going formation. More, the time is now and Jesus expresses an urgency that we allow God’s rule to govern our minds and hearts. Lent is a serious season because we are called to deepen our faith in the good news of God’s love and mercy revealed in Christ. Lord Jesus, once again send the Spirit to our lives. We yearn to do your will but so many forces crowd your voice and bind us to your presence. Make this season of Lent the greatest time in our lives – a time of growth and renewal, a time of faith and love, a time of praise and thanksgiving. As a liturgical season marked by its own urgency and intensity, Lent lends itself to reflection. Martin L. Smith:The Arab name for the mountain above Jericho where the monastery is built into the side of the cliff, Jebel Quruntu, means “Mountain of the Forty Days” and it derives from the Crusaders; French word for Lent. If we take our bearings for our Lent from this ancient monastic outpost we will once again be pointed in the direction of the quest for a breakthrough to solidarity. This the place where we are all invited to stand at the beginning of Lent to take in the meaning of this movement from the river to the desert, and to be caught in it ourselves. Lent is the season for the Spirit of truth, who drove Jesus into the wilderness to initiate him into the truth that sets free. Mark’s hard word “drove” was softened by Mathew and Luke to the milder expression “led”. Lent is about the freedom that is gained only through exposure to the truth. And “What is truth”? Pilate’s question is partially answered by unpacking the Greek word aletheia, which we translate as truth. Spirit of truth, you know intimately, you alone know what barriers to truth in me are ready to come down now so that I can enter more freely into the reality of God than ever before. Give me perseverance in my prayer and reflection day by day this Lent so that when the time is ready these barriers may give way like the walls of Jericho. This page was last edited on 2 November 2014, at 16:02.